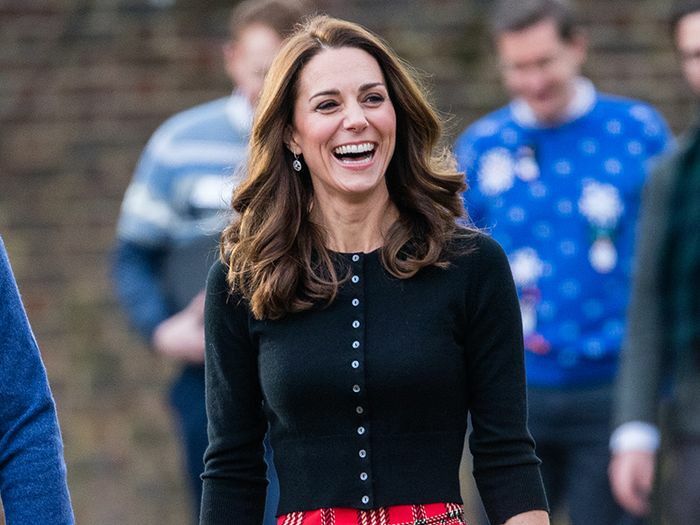 We says this with the greatest affection, but trust Kate Middleton to take a stroll in Islington wearing the most countryfied outfit we've ever seen: Cue Dubarry's tweed jacket, maroon roll-neck and khaki skinny jeans. You certainly can't accuse her of not owning a look. We were not, however, expecting her to fall head over heels with a K-Mid's shoe offering, which usually stays within the realm of sensible, knee-high flat boots. Today, however, she embraced one of this season's biggest trends: The chunky lace-up boot. Not only this, but she opted to style her boots with skinny jeans, an outfit formula that is all over Instagram at the moment. Kate's See by Chloe boots have now sold out, but there are plenty of excellent alternatives, including (our personal fave) & Other Stories' black lace-up iterations, which come in at half the price. They would look so good with everything from skinny jeans to floaty midi dresses, and trust us, you'll want a pair of these when the Beast From the East hits next week. Scroll down to see and shop the style.